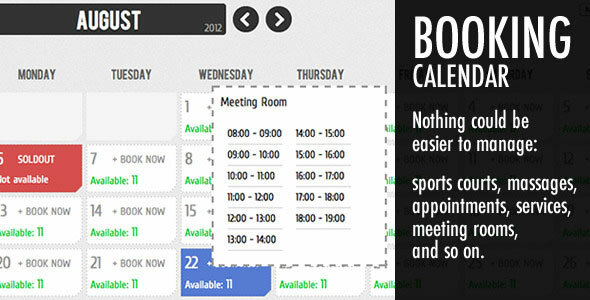 Booking Calendar helps you to easily add to your own website a powerful and simple booking system to in a few minutes. Administrator can create a calendar for one or more services that are available for booking, with the option to set different timeframes for each day (Monday through Sunday) and all the other features you can find below. Customers will look at the calendar and will easily place reservations. Both customer and administrator will receive notification to their emails.